Even as crossover sport-utility vehicles rule the roads, there’s still plenty of room for a no-nonsense family-hauling minivan, one that provides maximum comfort, tons of space, and solid performance. People who know what they like and where to get it, turn to the classic vehicle that started it all: the Dodge Grand Caravan. 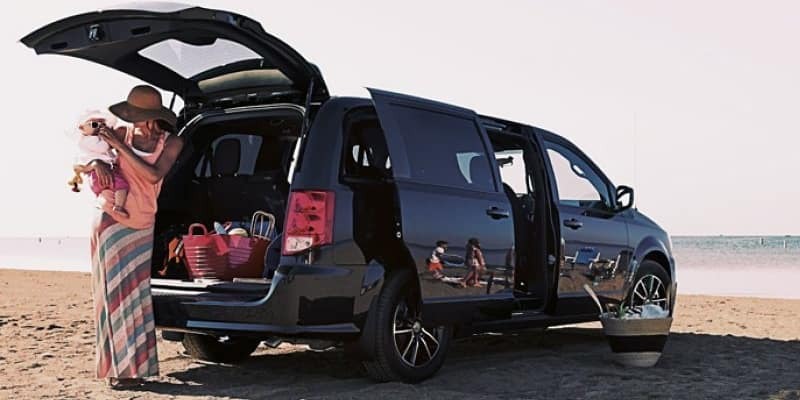 Check out some of the features on the new 2019 Dodge Grand Caravan and see why it’s the perfect family minivan. 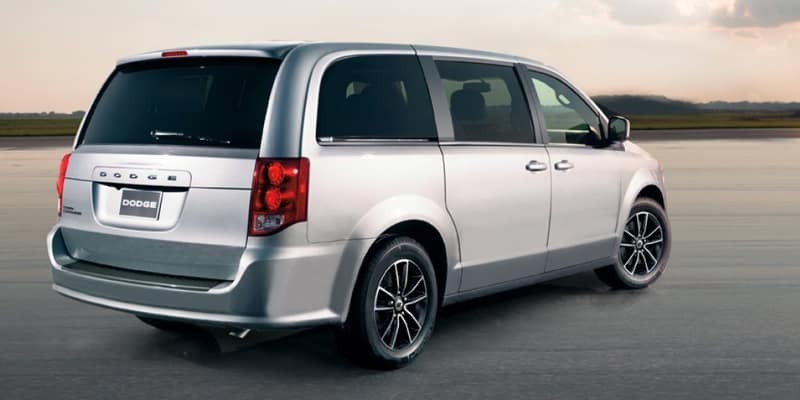 The 2019 Dodge Grand Caravan comes in your choice of three trim levels. The base trim is the SE, the SE Plus is the midrange trim, and the SXT is the range-topping trim. The SE nets you a solid set of features, including power heated mirrors for visibility on cold days, 17-inch steel wheels, daytime running lights, and a black grille and door handles. The midlevel SE Plus adds automatic headlights and fog lights, 17-inch polished aluminum wheels with black styling touches, and body-color door handles. The top-of-the-line SXT comes with all of the above plus 17-inch tech-silver aluminum wheels, body-color exterior mirrors, and a power liftgate. There’s only one engine available on the new 2019 Dodge Grand Caravan — an award-winning 3.6-liter Pentastar 24-valve V-6 flex-fuel engine with dual variable valve timing, and it nets you 283 horsepower with 260 pound-feet of torque. This more-than-capable engine is matched to a six-speed automatic transmission, which should provide you with plenty of power to keep going. 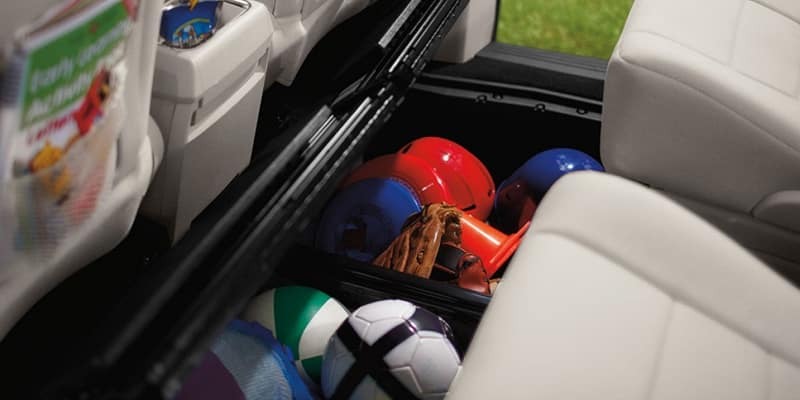 The 2019 Dodge Grand Caravan can go from 0-60 in just eight seconds — which is solid for a minivan — and offers manual gear selection for those who like a bit more control over their shifting. Handling solidly and with great confidence, it has a maximum towing capacity of 3,600 pounds and, overall, offers good throttle calibration and reliable performance. The SE offers plenty of creature comforts on its own. It includes elements like black cloth low-backed bucket seats and tri-zone climate control to keep your back-seat passengers comfortable, tons of storage, a 6.5-inch touch-screen infotainment interface with an audio jack input and six speakers, steering-wheel-mounted audio controls, and an auto-dim rearview mirror. The SE and SE Plus are also equipped with a second-row bench and third-row 60/40 split Stow ‘n Go bench. The SE Plus builds upon the SE’s features, adding SiriusXM satellite radio, Uconnect voice command with Bluetooth, leather-wrapped steering wheel and shift knob, silver-accent stitching, and upgraded cloth upholstery. Many of these features are available as upgrades for the SE. The top-of-the-line SXT kicks it up a notch further with features like leather and suede upholstery, an eight-way power driver’s seat, and a number of available upgrades like a rear overhead console and overhead storage, a heated steering wheel and front seats to stay comfortable on cold nights, interior ambient lighting, and sunshades in the back. There’s also an optional DVD entertainment system for the back seat. 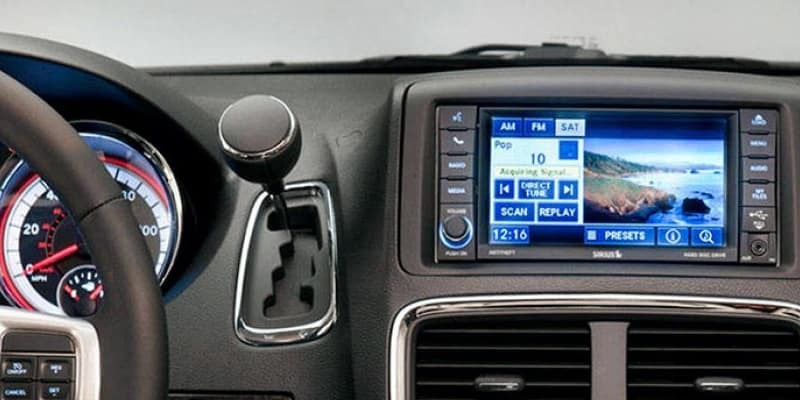 The 2019 Grand Caravan earned a four-star overall safety rating from the National Highway Traffic Safety Administration (NHTSA). 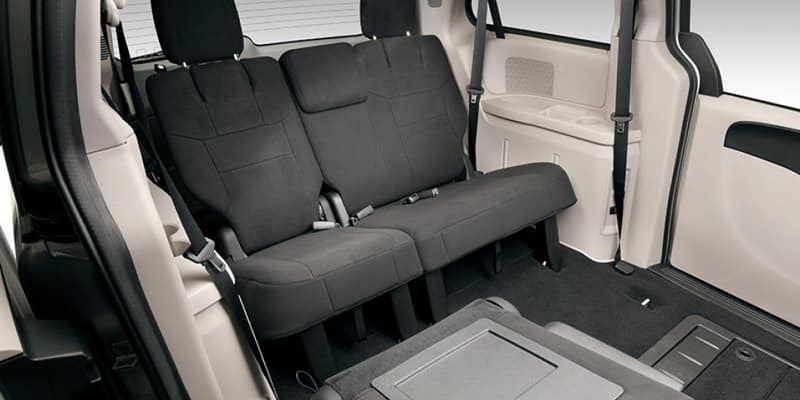 This minivan includes a very solid suite of safety features, including anti-lock brakes, stability and traction control, front seatbelt alert, a tire-pressure monitoring system, anti-whiplash systems, air bags in all the expected places, and so much more. A security system will also protect your car from starting if the original manufacturer key isn’t used. 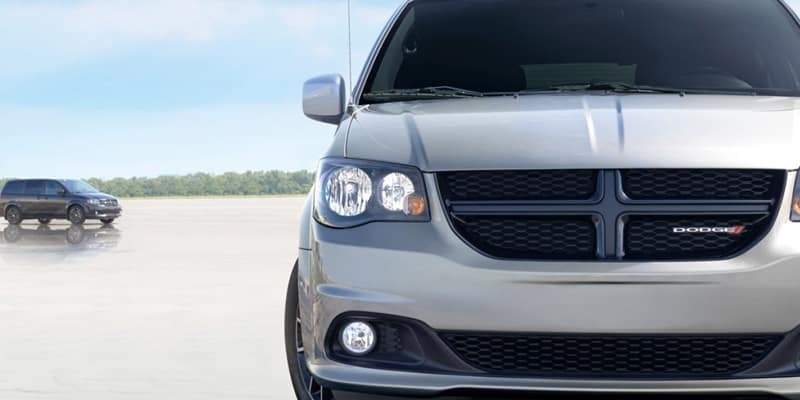 Now that you’ve gotten acquainted with the 2019 Dodge Grand Caravan, discover it for yourself. Just schedule a test drive. * 6 Cylinder engine * * 2019 ** Dodge * * Grand Caravan * * SE * This 2019 Dodge Grand Caravan SE is a real winner with features like a rear air conditioning, backup camera, braking assist, dual climate control, stability control, traction control, a MP3 player, anti-lock brakes, dual airbags, and side air bag system. It comes with a 6 Cylinder engine. Rocking a sharp white exterior and a black interior, this car is a sight to see from the inside out. With a 4-star crash test rating, this is one of the safest vehicles you can buy. Interested? Don't let it slip away! Call today for a test drive. Call Josh Tharp at 317-839-6554 for more information or to start your EAZY DEAL at Westgate By submitting an inquiry on this vehicle you are agreeing and consenting to our dealership contacting you by telephone, text messaging or other means concerning your inquiry, potential vehicle sale or promotional offerings by our dealership and other information. By participating, you consent to receive recurring text messages sent through an automatic telephone dialing system. Message and data rates m. Contact Information: Westgate Chrysler, 2695 East Main Street, Plainfield, IN, 46168, Phone: (317) 839-6554, E-mail: jtharp@westgateauto.com.